Better for you, better for your family. Arlingtons is a producer of 'better for you' foods that are full of flavour & full of fun. Arlingtons first opened in February 1990 as a local green grocer in Seaforth, a suburb of Sydney's beautiful northern beaches. We held a passion for delivering fresh, quality local produce and fine food to customers. Our taste for quality food rapidly extended beyond the grocery store as we started making our own range of Arlingtons snack foods for time conscious people who were looking for a better for you snacking option. These were derived from our great grandmothers recipes that three generations of the Arlingtons family had grown up loving to eat and we where certain other families would love eating as well. All of our foods have no artificial preservatives, no artificial colours and no artificial flavours. We use only Australian chickpeas, Our herbs are farmer market sourced and hand picked for freshness. Our vegetables are roasted in our our ovens. Today, our products are available in gourmet grocers, supermarkets, fine food, organic and health food stores across Australia and in Singapore. 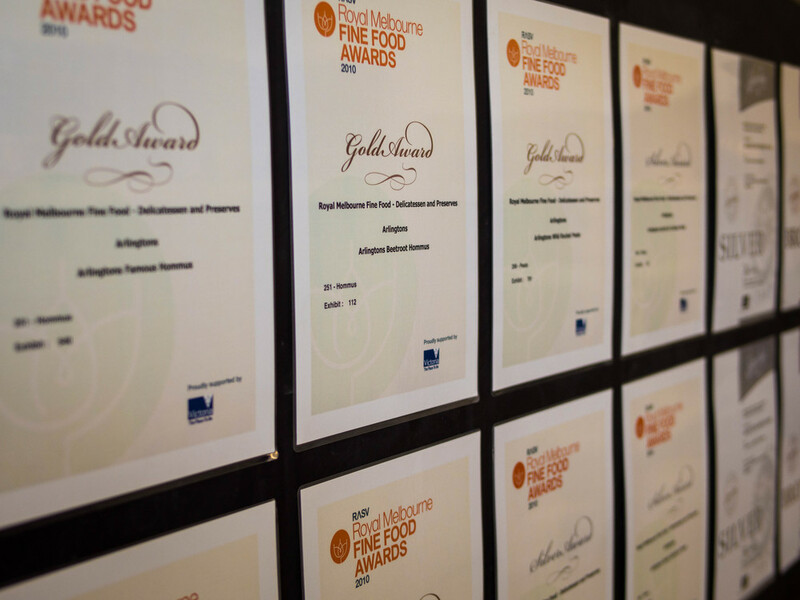 But we haven't forgotten where our success has come from, our loyal customers, and we proudly talk with them each and every week at producers market stalls around Sydney to hear their feedback and recommendations for the future. Arlingtons Gourmet Goodness, better for you, better for your family. Arlingtons coconut cream & tapioca puddings are a fresh modern twist on old fashioned tapioca puddings, just like our great Grandma used to make. The coconut cream forms a non-dairy custard. The tapioca pearls form little jelly balls that adsorb the real fruit or rich organic cacao flavours. Arlingtons black rice pudding is made using coconut cream and whole grain black rice that is rich in antenocyan, a natural antioxidant. Our black rice pudding is a better for you alternative to sweet white rice puddings. Whilst our puddings full of fun they are also gluten free, dairy free, 96% - 97% fat free, all natural & vegan friendly. Our award winning Famous Hommus and Dip range made fresh with Australain chickpeas, tahini, market fresh vegetables, confit garlic, lemon and spices. All dips are gluten free, dairy free, all nartural and vegan freindly. 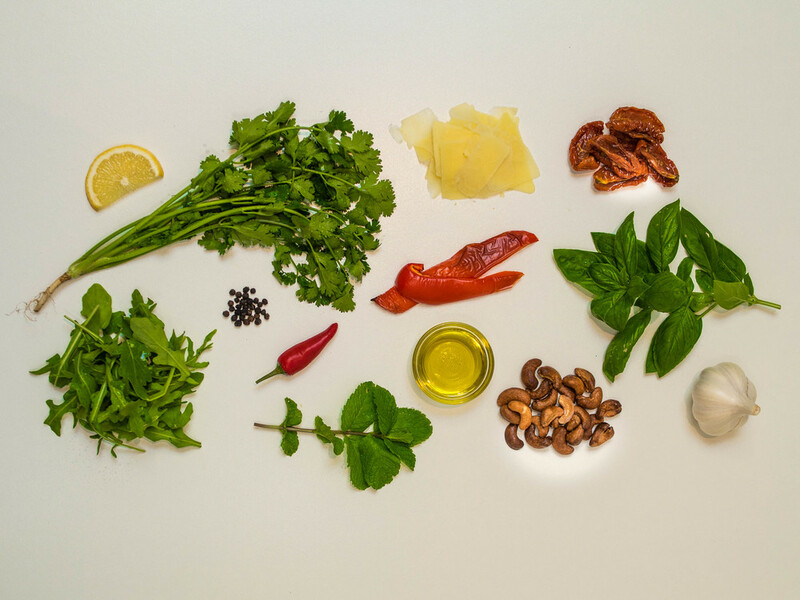 Arlingtons Home Style Pesto is made from only the freshest local ingredients. As well as the market fresh vegetables and herbs, the pestos combine garlic, lemon, high grade parmesan cheese and cashews roasted in our own ovens. All dips are gluten free and all nartural. With our Vegan Pesto, we take out the parmesan cheese and add a little mint and chilli for a fresh kick. Contact your local stockist to confirm availability of your favourite products in the Arlingtons Gourmet Goodness range. Also, come and visit us at local Fresh Produce markets every weekend in Sydney to say Hi and sample our products. No stockists in your local area? We're adding new stockists all the time, so drop us a line to let us know where you'd like to find us. Contact us and talk to Darren about becoming a partner. Come and say hi to Arlingtons! Find us rain, hail or shine at your local producer market. We sample all tapioca, black rice, hommus, pesto and baba ganuj products for you to try and we are always happy to give advice on serving suggestions and recipes on our products. Our stall will be stocking all of the Arlingtons range, as well as delicious honey, creamed honey (sourced form local forests), honey nut bars, turkish lavash flatbread and our lavash crackers. We would love to hear from you! If you have any feedback or enquiries, please enter the details below. Thank you! We have received your message and will get back to you at the earliest possible.